The VSPARS RealTime system has helped every one of the 7 teams entered in the 2011-2012 Volvo Ocean Race to design the best sail shapes in order to optimise their performance. Fewer racing sails are permitted in this version of the Volvo Ocean Race, and this has left teams scrambling to fill the gaps by designing new types of sail. The rule allows only 2 masthead sails to span all conditions from light airs upwind sailing through power reaching where the VO70s excel, to heavy weather downwind VMG sailing. VSPARS RealTime is in daily use by the majority of teams to further their knowledge of sail aerodynamics. Team Telefónica, Groupama Sailing Team, Abu Dhabi Ocean Racing and Team Sanya are all using the VSPARS RealTime system for on-the-water sail development. The system allows the designers to capture sail flying shapes providing a realistic starting point for computational fluid dynamics (CFD) simulations. It also gives the crew sail trim information in real time, with the ability to load previous sail shapes as a trimming benchmark. Accurate rig tuning can also be carried out using VSPARS. The system's light weight (less than 2kg), low power consumption and robust, waterproof cameras make it an obvious choice for installation on a VO70. 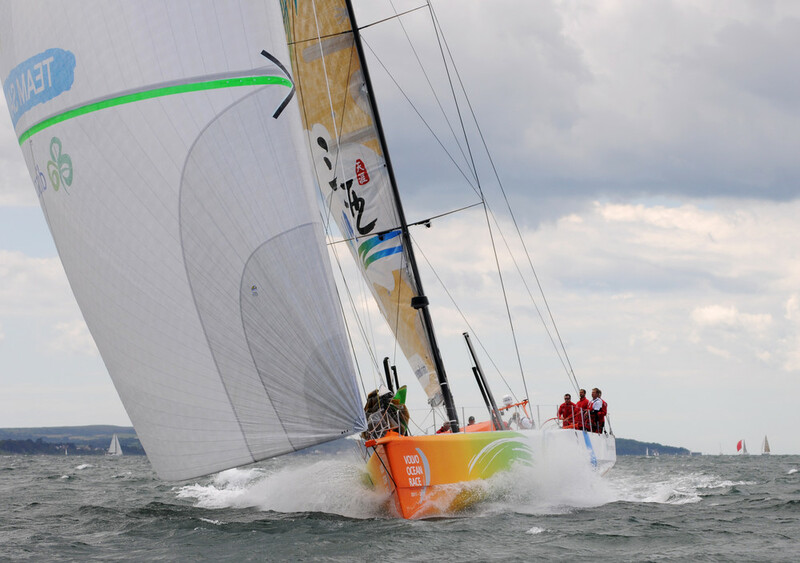 This, combined with intuitive and efficient software and powerful databasing capabilities, provides a system which can raise the level of any type of campaign, from dinghies to ocean racers. In addition, many teams have used the VSPARS RealTime system whilst carrying out extensive model testing at the University of Auckland's Twisted Flow Wind Tunnel. The miniature cameras are mounted on the model yacht, and measure the sail shape in real time to help both the trimmers and sail designers to compare one design against another. Burns Fallow (Camper/ETNZ VO70 head sail designer) - "VSPARS is an extremely useful tool when testing in the wind tunnel. It allows us to quickly and intuitively compare sail trims from earlier tests, which has improved the quality of our testing markedly. The real time output of camber and twist help with our overall calibrations against CFD runs."